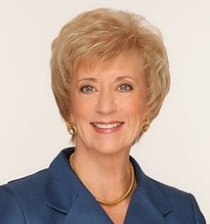 WASHINGTON: Former World Wrestling Entertainment CEO Linda McMahon has joined APCO Worldwide's international advisory council. As an IAC member, McMahon will collaborate with APCO staffers and provide counsel to clients. She will also introduce people and companies to the agency to expand its reach, she added. The council consists of senior business leaders, former government officials, members of the media, academics, and communicators. It includes former Goldman Sachs MD Joseph Zimmel; Delano Lewis, former president and CEO of NPR; Timothy Cost, ex-EVP of corporate affairs at PepsiCo; and Kirk Stewart, former global VP of corporate communications at Nike. “I'm a former CEO, so I bring business experience to the table. I've negotiated international contracts, opened international offices, and faced many of the same issues as APCO clients,” McMahon said. She is based in Connecticut but will travel for the part-time role, she added. McMahon served as CEO of WWE, formerly known as the World Wrestling Federation, for 12 years. She resigned from the role in 2009 to run for a Senate seat from Connecticut the following year. She ran for the Senate again in 2012 against then-Rep. Chris Murphy (D-CT). Both bids were unsuccessful. McMahon met APCO founder and CEO Margery Kraus several years ago when she hired the firm to work for the WWF, she said.